CONWAY, S.C. — Not long after visiting Coast Carolina University, we needed to make a pit-stop. Since I was a little hungry and certainly curious, we stopped at a Bojangles’ Famous Chicken ‘n’ Biscuits, known for . 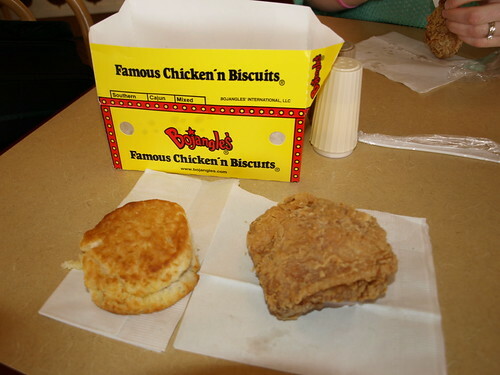 Not needing a full meal, I ordered a two-piece and biscuit combination, ($2.18), for us to split. 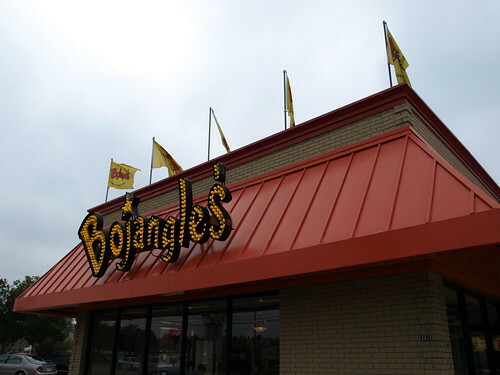 Now, I’ve eaten at a few fried chicken places over the years; KFC, Popeyes’ and even El Pollo Campero and I have to say that even with this limited sample size Bojangles emerges as superior. The piece I had was hot, juicy (not just greasy) with spices that were complimentary and not overpowering. Seriously, that was some good chicken. The biscuit was also quite tasty and not too greasy like a lot of places. I will try and go back to one the next time I am down South. By the way, there is a chain called Maryland Fried Chicken down there.